Have you ever wondered if the café you were sitting in was in turn sitting on the Osceola Mudflow? 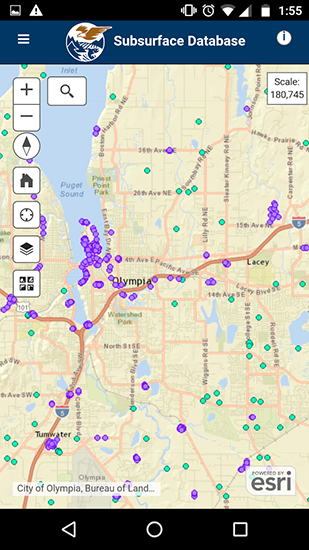 Do you want to map out your tsunami evacuation route for an upcoming trip to the coast? Have you reached the job site in Seattle and forgotten critical boring log data? 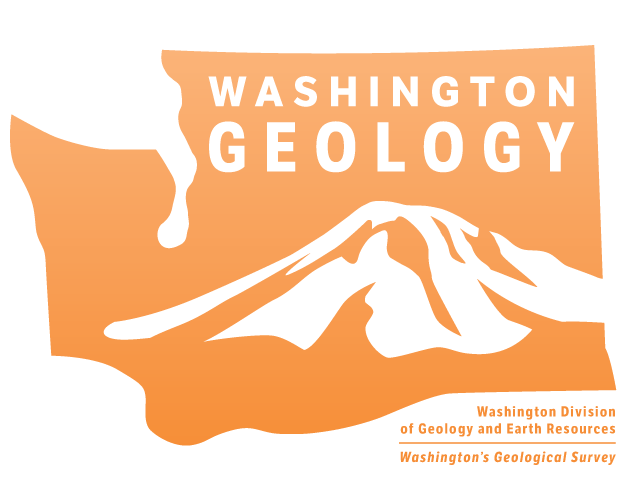 Now you can explore Washington’s geology, learn about geologic hazards, and find borehole lithology data all from your mobile device. 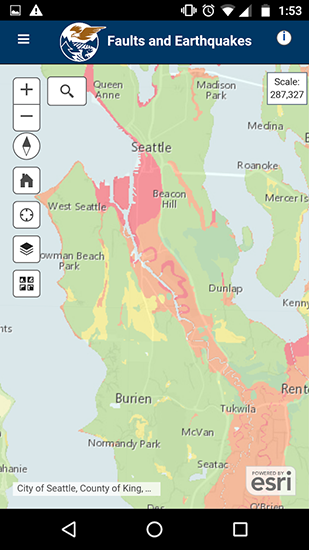 This app is a much-simplified beta version of the Washington Geologic Information Portal, a desktop-based interactive map containing detailed and comprehensive geologic data about Washington State. 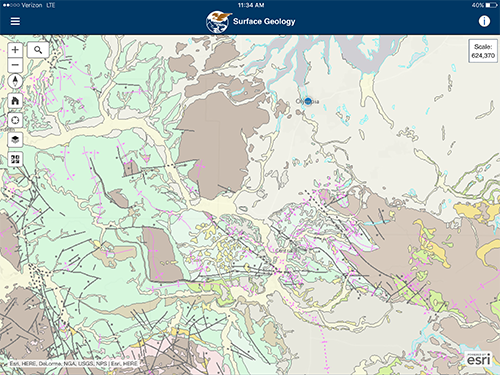 This app is ideal for geology students, professionals, and those familiar with geologic terms and concepts. This app requires an internet connection to display data, and data charges may apply. Geolocation services are enabled in order to display device location on the map, but the data is not collected or saved. When a menu is open, close it by clicking on the button again, clicking outside the menu, or clicking the close button on the menu. Layers button - Open the table of contents/legend. This product is provided ‘as is’ without warranty of any kind, either expressed or implied, including, but not limited to, the implied warranties of merchantability and fitness for a particular use. The Washington State Department of Natural Resources and the authors of this product will not be liable to the user of this product for any activity involving the product with respect to the following: (a) lost profits, lost savings, or any other consequential damages; (b) fitness of the product for a particular purpose; or (c) use of the product or results obtained from use of the product. This product is considered to be exempt from the Geologist Licensing Act [RCW 18.220.190 (4)] because it is geological research conducted by or for the State of Washington, Department of Natural Resources, Division of Geology and Earth Resources.